A relaxed tour of Dunfermline followed by a sumptuous meal! Please enter your details below to book or to enquire. If you know what dates you will be visiting Dunfermline, please do include these details. A deposit may be required for larger bookings. 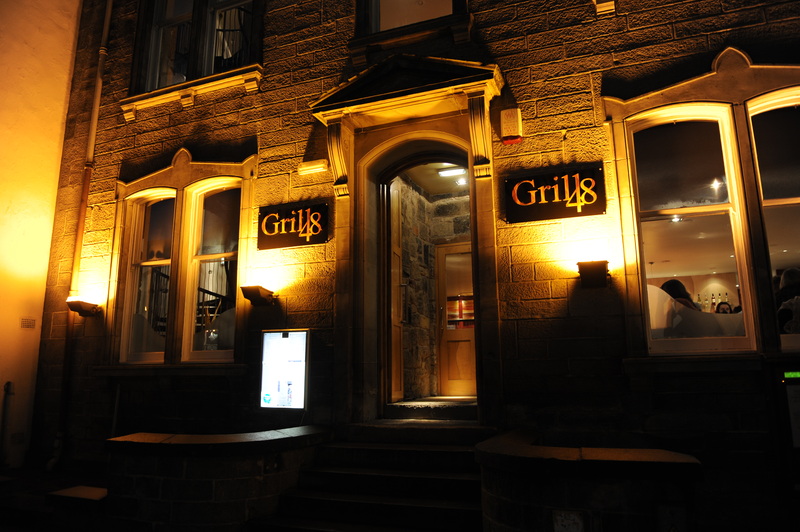 Daunder and Dine takes visitors and local residents on a relaxed walk around our beautiful, historical town, returning to Grill 48 for a Scottish meal. Led by your local tour guide Jack Pryde, you will learn the history of Pittencrieff Park, Dunfermline Abbey, St Margaret, as well as many other interesting ‘Dunfermline’ facts along the way. Tickets are available from Grill 48 (East Port, Dunfermline). ** Please note, due to high demand advanced booking is necessary. Also featured on the Visit Dunfermline website.